The Massachusetts Council for the Social Studies (MCSS) and the Massachusetts Center for Civic Education (MACCE) are presenting a six-day intensive professional development content institute at Suffolk University in Boston from August 1 to August 6, 2016 for K-12 social studies teachers. 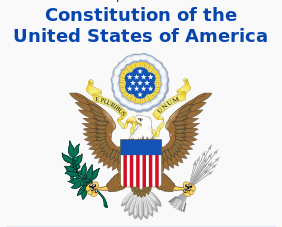 The focus of the content institute is the First Amendment to the United States Constitution: its principles and practice. Each day addresses a particular aspect of the First Amendment: religion, speech and of the press, assembly, and petition. Teachers will explore the First Amendment through historical, political, and legal perspectives and how to address First Amendment issues in their social studies classes. Teachers will examine the First Amendment as it was applied in civil cases as well as landmark Supreme Court cases including, but not limited to, Engel v. Vitale (1962), Tinker et al. v. Des Moines Independent Community School District (1969) and Hazelwood School District v. Kuhlmeier (1988). Featured guest keynote speakers include Mary Beth Tinker, John Tinker, Cathy Kuhlmeier-Frey, Dr. David L. Hudson, Jr. from the University of Nashville School of Law, Dr. Robert Allison of Suffolk University, and L’Merchie Frazier of the Museum of African American History. In addition to workshop sessions, teachers will visit John Adams Courthouse, Massachusetts State House, Edward M. Kennedy Institute for the U.S. Senate, John F. Kennedy Presidential Library and Museum, Boston’s Freedom Trail, African Meeting House and Black Heritage Trail. To see our preliminary course syllabus and itinerary (all times and sessions are subject to change), click here. Now you can obtain three (3) graduate credits from Framingham State University for the successful completion of the content institute, which includes developing, implementing, and showcasing a lesson unit using the contents from the institute. The tuition cost is $225. Registration forms will be provided at the institute. Lodging at Suffolk University dorms for the week is also available! Click here to download the reservation form, complete and submit along with payment to Suffolk University, Residence Life & Housing, 73 Tremont Street, 7th floor, Boston, MA 02108. Special registration for those who are interested in only attending Monday night’s reception and Tuesday’s session with Mary Beth and John Tinker (Tinker v. Des Moines), Cathy Kuhlmeier Frey (Hazelwood School District v. Kuhlmeier), and David L. Hudson, Jr. (University of Nashville School of Law) for $125 (space permitting). Note: No PDPS or graduate credits available for attending Monday night and Tuesday only. If you are interested in attending on Monday night and Tuesday, please email Gorman at glee0524@gmail.com and request for a special registration form. To register, download and complete the application form (PDF or Word) and send it along with your payment or purchase order to June Coutu, 35 Mohawk Street, Sharon, MA 02067. Deadline has been extended to July 15, 2016. For more information about registering to the content institute, click here. If you are interested in attending the summer content institute and wish to stay informed with updates regarding graduate credits, please go to http://goo.gl/forms/xuwqr4O4QzATwjIp1.